Living up to every stereotype of suburbia, is the ever-so cute Devonport. If you're city-side, make it easy by hopping on a ferry and in just ten minutes you'll find yourself in one of Auckland's cutest little villages. Placed in the middle of a big city, Devonport quite literally looks like one of those teeny towns you find in Disneyworld. It is a seaside town where everyone knows everyone and it is undeniably adorable. Although it is postcard pretty, there is so much to do in Devonport, with its epic bars, cafes and restaurants. Here's everything you should be eating, drinking and doing in Devonport. Here you will find a down-to-earth, vibrant atmosphere and the best cheesecake ever made. Seriously. From food served on delightfully cool homemade pottery, to cheerful service, everyone loves Corellis. The elegance of its name tells you all you need to know about this spot. Here, you’ll find mouth-wateringly good pastries and the most delish eats, because #treatyourself. You haven’t been to Devonport if you haven’t tested out what the Chateaubriant French Café has to offer. Located right on the Devonport waterfront, this Devon On The Wharf is highly appreciated by all Devonport locals. The modern atmosphere and beautifully presented dishes make for a great spot to eat out. Head here for brekkie or dinner, you won’t be disappointed. We recommend the tempura halloumi chips...they have a special place in our heart. A hidden gem in Devonport, Nicolinio Restaurant, is where you can find the most indulgent pasta dishes and moreish sauces. From the tortellini to the green-lipped mussels, you can expect nothing short of deliciousness. It’s also a hot spot for a fun night, so, sign your name on the wall alongside the hundreds of others or get up and dance on a live music night. Feelin’ like Asian fushion? Not a problem, Hung Viet has you sorted. Get your deserving tummies some delish Vietnamese eats at Hung Viet. We recommend the fresh spring rolls. New kids on the block, Vic Road Kitchen, have made a big name for themselves in the short time they’ve been around. Known for their excellent service and high-quality eats and drinks, this is one Devonport restaurant that should be on your to-do list. The talented chefs change up the menu on the reg, but expect delish choices that include the likes of squid ink spaghetti, whole wood roasted flounder and wood-fired Greenlip mussels. Yum. Formally the spot known as “Bettes”, Vondel is one of the hippest and happenin’ places in Devonport. The sun favours this courtyard so it acts as the perfect spot to touch up your tan. Soak up those rays and sip on a glass of sangria. Yes, please! The vintage vibe of the Esplanade Hotel is the epitome of all the cuteness that is Devonport. This bar is the go-to joint for happy hour, although we are a firm believer in wine-o-clock being every hour after 5pm. Watch the Devonport scene pass by from a table outside and sip on your choice of bevvy, ah heaven. If it’s a bit nippy, grab a blanket or cosy up to the outside fire. 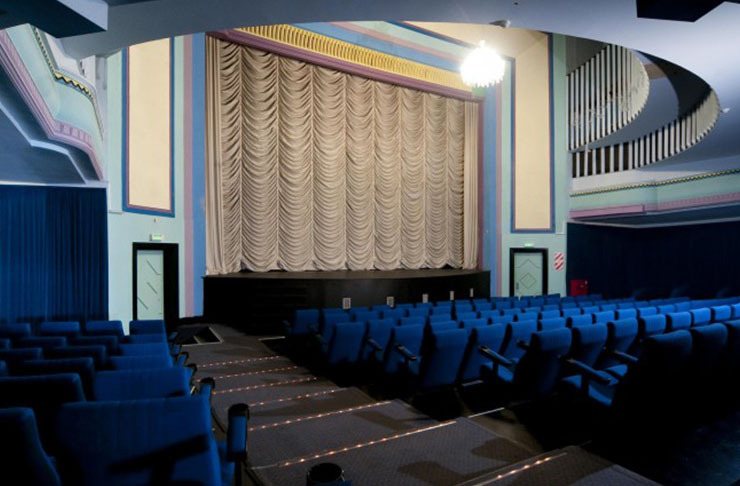 This seaside 'burb has the oldest theatre in the Southern hemisphere. Yup, you read that correctly. The Vic movie theatre has been around for a long time and its vintage look makes for a super cute date night. Plus as an added bonus, they offer the most delish choc-tops. Your movie experience will most certainly be an excellent one. Adrenalin junkies this one’s for you! Join Devonport’s youth at Stanley bay wharf where, during the right hours, you can jump off the wharf right into the ocean. Fun and free = a go-to activity in Devonport on a sunny day. Feel like getting some exercise in? Devonport is home to not one, but two epic mountains that are there for you to explore. Head to North Head and explore the dark tunnels (be sure to bring your s/o for support) or check out Mount Victoria. If you wanna soak up all that true Devonport spirit, bring some fish'n'chips up with you and have a picnic. Naw. Head to Devonport Scoops and get your hands on the tallest ice-cream in town. Literally. The treat-yo-self movement has never been easier. Ask for a 10-scoop ice cream and they’ll make your dreams come true… stack up all your favourite flavours so you don’t have to choose! With topping options including the likes of caramel sauce, chocolate drops and 100&1000s, we’re recommending you wear your stretchy pants for this one. Easily the cutest shop in the village, Cosi Fan Tutte is where you can find vintage pieces that are completely unique. From clothes, to beautifully designed cards, exploring this store is utterly dreamy. The very sophisticated Caroline Sills is an epic place to splurge if you’re looking to shop in Devoport. The outlet store next door offers some cheeky deals that’ll have your bank balance thanking you and your reflection looking dressed to impress. You haven’t properly experienced Devonport until you’ve snacked on a tester at Devonport Chocolates. This boutique chocolate shop stocks luxurious chocolate treats, that are made right in store. Grab yourself some chocolate pieces to go and of course, try out the tester chocolate of the day to tide you over. Looking to update your Jewellery collection? Head to Devonport’s Toti and check out their stunning range. Known for its unique pieces, Toti offers one of a kind, jewellery, ceramics and art. Hand sourced from Turkey and other places around the world, you’re guaranteed originality and beauty. You’ll find things you didn’t even know you needed.